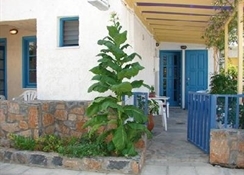 The apartments have a 200 m² garden with showers. 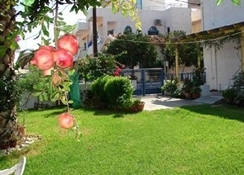 In this beautiful garden guests can enjoy breakfast- soak up the Cretan sun and let their children play safely. 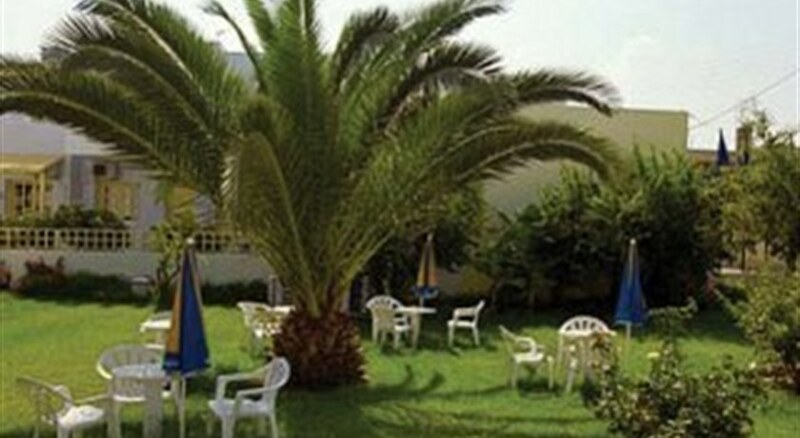 The hotel offers various services such as a lobby with reception and parking for those arriving by car.All apartments can hold between 2 to 4 persons- they have a kitchenette with all the necessary equipment- fridge- sofa- bathroom- toilet- safe- individual air conditioning- central heating- TV- and veranda. 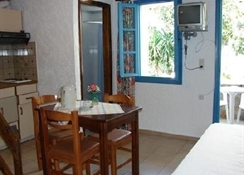 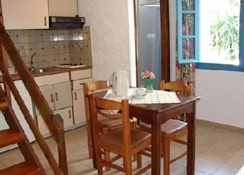 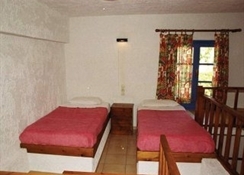 The bedroom is on the half-floor just like traditional Cretan houses. 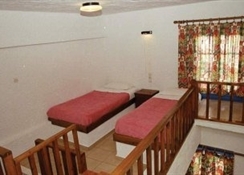 Cots are available on request.